The Russian government has decided to abolish the transit of military cargoes to Afghanistan via its territory. A resolution to that effect has been signed by Prime Minister Dmitry Medvedev. Military analysts say the move has clear political motivations. NATO will be forced to find new ways of shipping military cargoes to Afghanistan after the Russian government decided to end the transit of shipments via Russian territory. The relevant resolution, signed by Prime Minister Dmitry Medvedev on May 18, says that the decision has been taken since UNSC Resolution 1368, which was adopted in 2001 setting up the International Security Assistance Force in Afghanistan, is no longer in effect. The mandate of the mission expired in December 2014. According to the NATO website, the alliance approached Russia with the request to allow the land transit of non-lethal cargoes to Afghanistan in the spring of 2008. Two years later, Russia allowed the transit of military cargoes from Afghanistan too. In 2012, the Russian government approved air transit of NATO’s Afghanistan cargoes and the airport in the Volga city of Ulyanovsk (530 miles east of Moscow) was chosen as the transit hub. The deployment of what some media described as “a NATO base” in Ulyanovsk caused considerable controversy inside Russia and provoked opposition protests. The significance of the Russian transit route grew due to the difficulties that arose with the main transit route, from Karachi across the whole of Pakistan to Afghanistan in the north: The Pakistani military had little control over that route and NATO convoys were often targeted by Taliban attacks. According to deputy head of the Institute of Political and Military Analysis Alexander Khramchikhin, “this decision by Moscow has more to do with politics” than with the fact that the UN Security Council resolution has expired. There may be several factors in play here, he continued. Firstly, with the withdrawal of the bulk of the international contingent from Afghanistan, the number of shipments has dwindled, so Moscow will not be losing that much money following its refusal to transport NATO cargoes. Secondly, Russia is not happy with the new Western mission in Afghanistan, Resolute Support, since it has not been backed by a UN resolution. The Russian prime minister’s resolution may also be “a reply of sorts” to the sanctions, said Khramchikhin. A similar view has been expressed by military expert and editor-in-chief of the Arsenal of the Fatherland magazine Viktor Murakhovsky, who is also convinced that Moscow’s decision to end Afghan transit is driven by politics. According to Murakhovsky, it is a response to NATO’s actions: In a unilateral move last year, the alliance ended all cooperation on Afghanistan. Asked why this decision, which Murakhovsky described as “a demonstrative step,” was taken now, he explained that Russia to the very last was hoping that “it would be possible to organize a joint fight against terrorism” – against the Taliban in Afghanistan. “It turns out that NATO has gone so far that it does not want to cooperate even in this area,” he concluded. 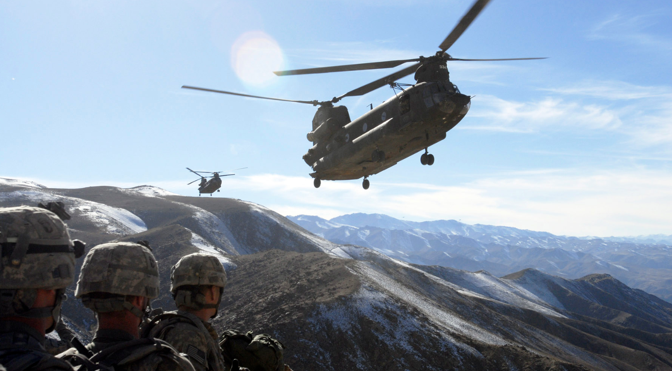 In 2014, the bulk of the International Security Assistance Force was withdrawn from Afghanistan. At the same time, as part of the new Resolute Support mission, over 12,500 troops (some 10,000 of whom are U.S. personnel) still remain in Afghanistan. Their official task is to train Afghan forces and to protect diplomatic missions.